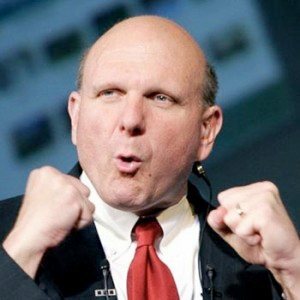 The Consumer Electronics Association (CEA) has announced that Microsoft CEO Steve Ballmer will deliver a preshow keynote address at next year's Consume Electronics Show (CES), the world's largest consumer technology tradeshow. CES 2012 is scheduled to take place between January 10, 2012 and January 13, 2012, in Las Vegas, Nevada. Ballmer's preshow keynote address is slated for 6:30 PM on Monday, January 9, 2012 in The Venetian. The full line-up of CES 2012 keynote addresses will be announced in the coming months. CES 2012 will feature over 2,700 global technology companies unveiling the latest consumer technology products and services across 15 major product categories. "We are pleased to welcome Microsoft back to the CES keynote stage," Gary Shapiro, president and CEO of CEA, said in a statement. "From mobile to desktop to gaming and beyond, Microsoft has a significant impact on all aspects of the consumer technology industry, and Steve Ballmer's keynote is a great way to kick off the exciting 2012 International CES. We are excited to hear Microsoft's latest initiatives and Ballmer's vision for where consumer technology is heading." In January 2008, then Microsoft CEO Bill Gates made his last CES keynote speech because he had decided to step down from Microsoft later that year to work full time at the Bill & Melinda Gates Foundation. From then on, current Microsoft CEO Steve Ballmer took over the reins, at the company and thus at CES as well. In January 2009, Halo Wars received a new confirmed release date as well as plans for a demo. In January 2010, Microsoft showed off an HP-crafted tablet computer. In January 2011, Microsoft announced that Windows 8 would support Intel, AMD, and ARM. It's almost guaranteed that Ballmer will have much more to show off for Windows 8 next year. After all, the latest rumor says the operating system will hit the RTM milestone by April 2012.